A Cavallo Pair of Gel Pads. Gel Pads Are Easy To Apply and Exceptional Value For Money. Helping Bring a Natural Balance Back to Your Horse or Pony! The Cavallo Gel Pads Are Soft And Extra Cushioning Gel Pads For Your Horse's Hooves Within Hoof Boots. 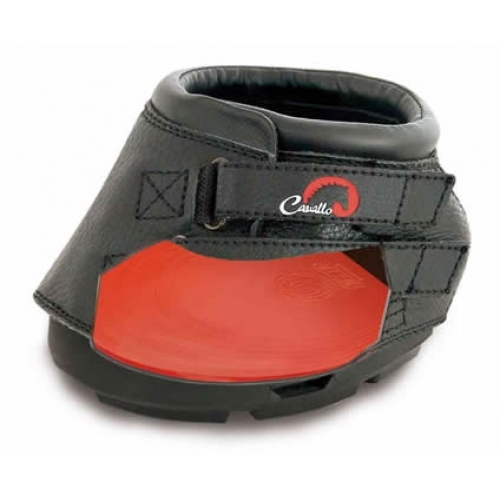 Cavallo Hoof Boot Gel Pads are the ideal compliment to the Cavallo range of hoof boots. The comfort pad is a flat pad designed to increase comfort and reduce concussion. Comfort pads increase heel comfort so that all horses - sound or unsound- are encouraged to move correctly. Comfort pads can also be a useful tool to improve the fit of a boot. A comfort pad will provide cushioning, additional protection and and shock absorption to the hoof as well as support to the frog. Comfort pads are an excellent aid in transitioning a horse from shod to barefoot, and exercise both the internal and external structures of the hoof to help build a stronger hoof capsule. Extremely good memory and almost no deformation during usage. The superb flexibility, dampening and biomechanical properties makes this the best pad for both riding and rehabilitation.